Sorry for the lack of blog posts, been busy pre-ordering inventory and getting ready to restructure the entire anime store and this site (plus my damn day-job is still a part of my life ;_;, for now). There will be more posts since we sure know there's been alot of news lately, mainly economic stuff. 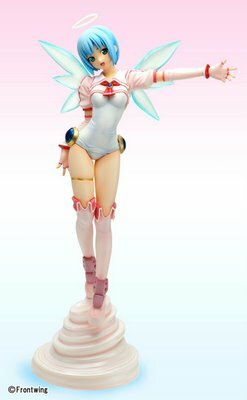 With x-mas coming and the new year that means lots of anime figures are coming! Screw the economy! The anime and videogame industries are still on the grow and that's what we all care about anyways. Enjoy this high rez pic (click on it for full size) of the upcoming Jiburiru Holy Angel 1/7 Scale Figure by Griffon that will grace this blog and my store.